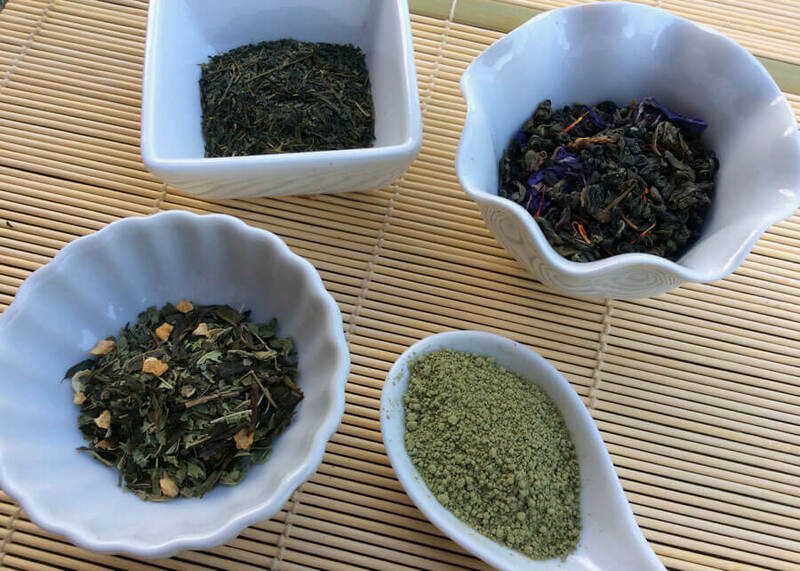 With the release of our line of unflavored Royale tea blends as well as our new Inner Calm Green Tea, we thought it was time to delve a little deeper into the world of tea knowledge. Today, we’re getting up close and personal with green tea. As you may remember from our black tea article, all tea comes from the same plant, camellia sinensis. The leaves and buds are harvested and oxidized (exposed to air) at different levels to produce the various white, green, black, and oolong teas; the longer a tea is allowed to oxidize, the darker and more caffeinated it becomes. Green tea is not allowed to oxidize, meaning that it retains more of its natural green color (hence the name), tends toward light, grassy flavors, and has about half the caffeine of black tea. Green teas are a high source of catechins, a type of antioxidant that helps fight damage to the body’s cells. The beverage has also been studied for its ability to lower cholesterol, improve blood flow, stabilize blood sugar, and boost brain and heart health. The polyphenols found in green tea have also been linked to lower cancer rates, though more studies need to be done. Technically, any tea can become a green tea, but certain growing regions are known for producing the best tea leaves for the light oxidation process. Japan and China have the largest percentage of the market on green teas. Chinese: These teas are usually pan-fired, oven-dried, or sun-dried, giving them more earthy characteristics. The base of our Inner Calm blend is Chinese green tea. Dragonwell: Also called Longjing or Xi Hu Longjing, this is one of China’s most famous teas. It is grown and produced in the Zhejiang Province and has a sweet, toasty flavor with large, flat leaves. Gunpowder: Another tea originating in Zhejiang, Gunpowder leaves are rolled into small pellets. This rolled form helps the tea retain more of its flavor and keeps it from spoilage. It unfurls in water, making it a lovely tea to watch while brewing. Our Royale Green Tea blend features Gunpowder tea as well as its similarly-made cousin, Sleeping Dragon. Jasmine: This popular tea is scented with jasmine flowers, hence its name. While jasmine tea can be made with any variety of green, white, or oolong tea leaves, the most well-known variety is a green from China’s Fujian Province. 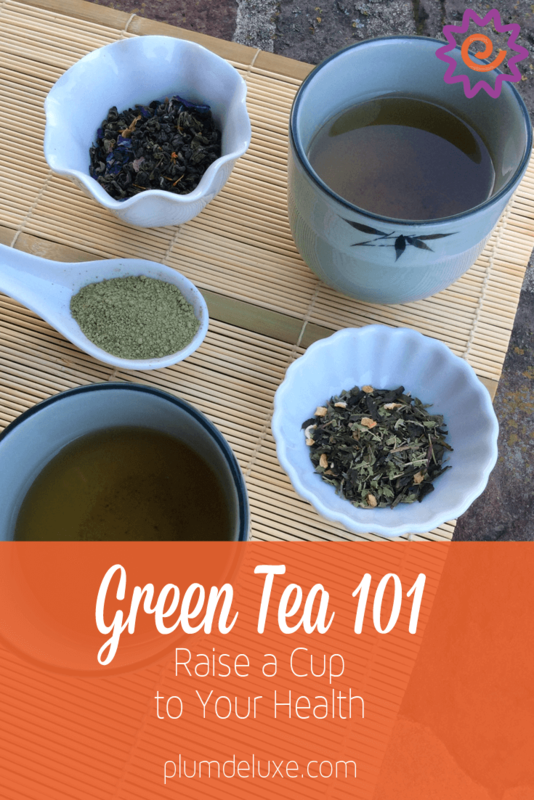 For our version of this lovely tea, check out the Garden Grove Green blend! Japanese: Green teas in Japan are grown from a cultivar of Camellia sinensis that is different from the one used in China. Usually steamed instead of pan-fired, these teas tend toward grassier flavors. Sencha: These are the young, tender leaves that come from the first and second harvests of sun-grown teas. 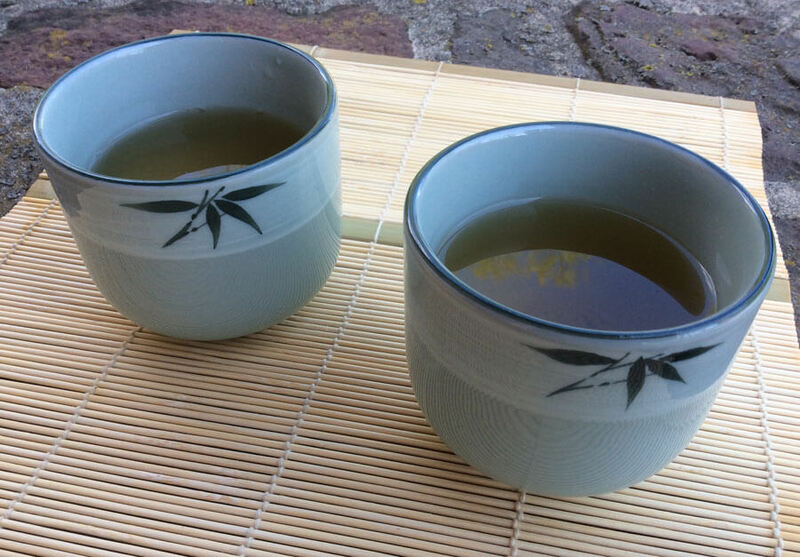 A lower grade of Sencha, called Bancha, is made with older, larger leaves. Gyokuro: A shade-grown tea, it is one of the most labor-intensive Japanese greens — and one of the most expensive (you’re likely to pay at least $20 per ounce). It tends toward a light yet complex flavor with natural sweetness and is among my personal top five favorite teas. Tencha: Shade-grown similarly to Gyokuro, Tencha is the yet-unpowdered form of Matcha, the tea most famously used in Japanese Tea Ceremony. We know that the type of tea you are drinking will determine your water temperature and steeping times, both of which affect the taste. For green tea, you want water that is heated to between 160-180 degrees; a rolling boil will burn the tea, resulting in a bitter flavor. My trick is to pull the kettle off the stove right when I hear it start to make that rushing noise. Pour the water over the tea leaves and allow them to steep for only 2 to 3 minutes, depending on your taste preferences. A high quality, loose leaf green tea can be re-steeped multiple times, so make sure you save the leaves! I’ve done as many as five re-steeps. Honey or sugar are fine to add, but milk might be a little weird due to the lighter flavors of the tea. Green tea can also be cold brewed to very good result, and it can be a wonderful addition to a white or blush wine-based sangria. There’s so much more to be learned about green tea, but let’s stop there for now. Besides, I think it’s tea time.